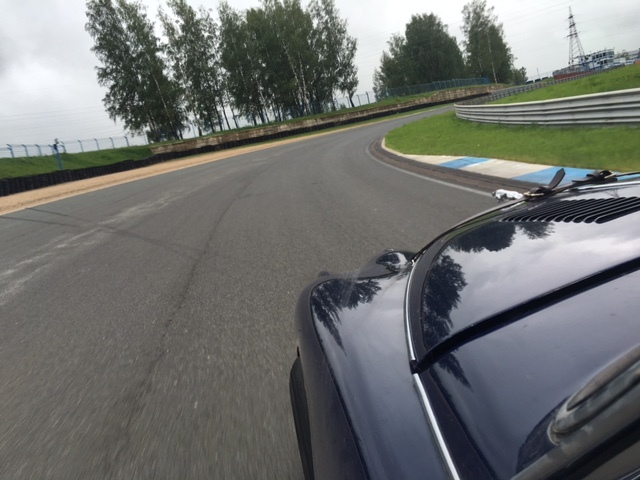 Just before we head into Smolensk we have the second circuit of the day. 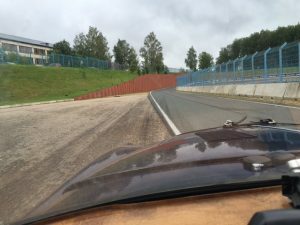 The rain holds off and the Smolensk Ring turns out to be a lovely circuit with some great bends, a few nice little kinks and a fantastic sweeping straight into a wide right handed corner. We are running on quite light fuel loads, especially for the timed sections, as it puts less strain on our beleaguered suspension. 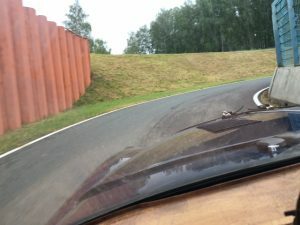 The rear had sagged so much at one point that a following car was concerned whether we had the ground clearance to clear the painted white lines. When everything cooled down and settled and the fuel was lighter it seemed to recover.